Mr. Classi co-founded GCP Capital Group, LLC in 1996 and has served as managing member since its inception. He, along with the firm’s partners, brokers and employees, have been responsible for creating the basis of the company’s stellar reputation and enduring success in the field of investment real estate finance. Mr. Classi began his career in commercial real estate finance in 1987 after spending several years in the appraisal field. 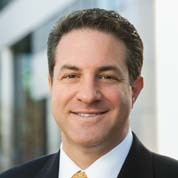 In 1996, Mr. Classi co-founded GCP Capital Group, LLC along with long time associates Paul Greenbaum and Alan Perlmutter to specialize in the arrangement of commercial real estate mortgage loans. Throughout his career, Mr Classi has originated thousands of transactions with fundings aggregating in the billions. Mr. Classi has been a leader in arranging construction financing that has helped construct and rehabilitate countless housing units in the New York metropolitan and surrounding areas. Mr. Classi’s 25+ years of advisory experience and lasting relationships has earned him a reputation as an important facilitator and “negotiating partner” in each and every transaction by both borrower and lender alike. Recent notable transactions of Mr. Classi’s include a $40M loan on a 12-story Manhattan mixed use building and $48.5M in total fundings for 4 apartment communities in central Long Island. Mr. Classi is a long-standing member of several industry organizations including the Real Estate Board of New York and it’s finance committee and has written numerous articles for industry publications throughout the years. Additionally, Mr. Classi supports numerous charitable organizations including the Columbus Citizens Foundation where he has been a member since 2003 and has served on several of it’s charitable committees. In 2003, Mr. Classi received the foundations “Achievement in Business Award” and was honored during the Columbus Day weekend celebration and parade. Mr. Classi is a business graduate with honors from Long Island University and enjoys spending time with his family, playing golf and skiing.